Today I want to present you story about building R2R (which could be read as „Arthur”). I’ve got pleasure to talk with Cezary – the owner of polish company Mocopolis. 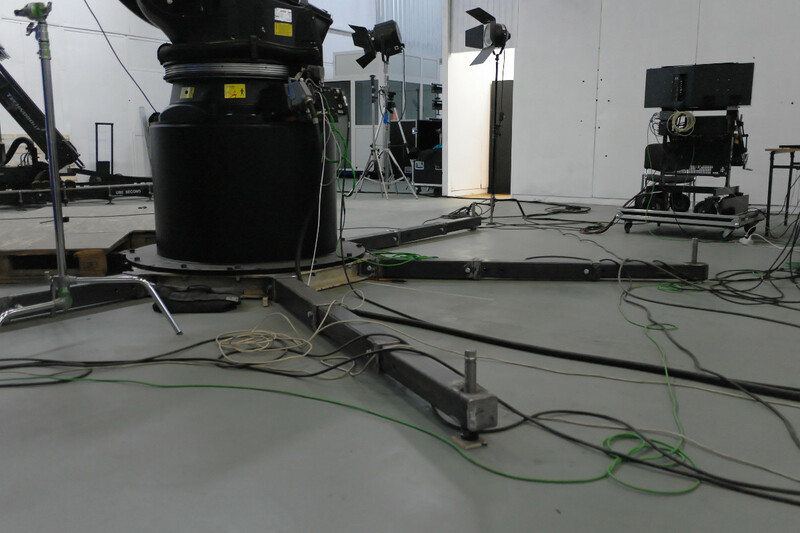 Cezary had a lot of experience with programming motion Control devices using in film industry (including Milo and Technodolly). He decided to use his knowledge about film making, electronics and programming to build a new device which will be supplementary for existing solutions. Mocopolis adopted standard Kuka with KRC2 controller. Previously robot worked on Body-in-White line on BMW plant in Regensburg. Transformation from spot welding machine into film robot takes seventh months. Here is a short story of building Arthur. Here you can see what effects are possible to obtain using robot and high speed camera. The most significant change is a new colour. Classic Kuka Orange was replaced by black. Black colour absorbing light and is non-reflective. Mocopolis use Kuka KR210L150 in version S which is a slightest faster then standard version. They decide to bought Kuka based on availability, price and support. Searching through the internet I realized that Kuka is the most popular robot for film industry (Bot & dolly, Mocopolis, Robomoco, C-MOCOS), but according to Cezary there also few companies which trying to adopt to similar purposes Staubli RX160 robot. Mocopolis developed they own software as a plug-in to Softimage to generate trajectory for robot. The are still improving software. 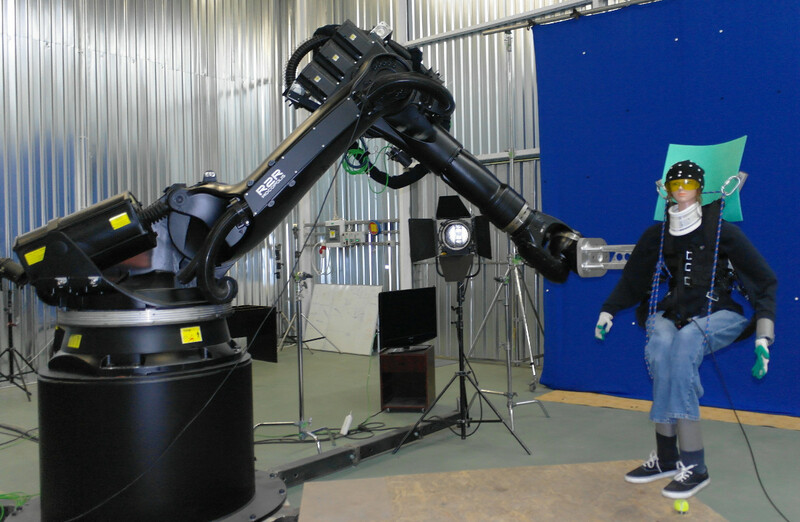 In latest version is possible to synchronize robot motion with Technodolly. There is also possible to import path in FBX format and generate robot program from it. Softimage allows build them simplified scene to help visualize it. During development they have to handle many problems. For example: Kuka can’t start program from LIN location. Robot also have problem with maintain constant speed during passing through following via locations in linear movement mode. Kuka is after first commercial shoots. Thanks to high payload (150 kg) is possible to „animate” stunts. Robot is equipped with camera head with dedicated drive which is responsible for steering focus of a camera. Robot in have to be mobile, to reach this robot is not fixed to the ground. They mounted him on special platform. This allow to easily move robot from place to place. In future there will be special rail. lack of modularity exclude from use a standard Kuka track. If you want to know more please visit Mocopolis website.